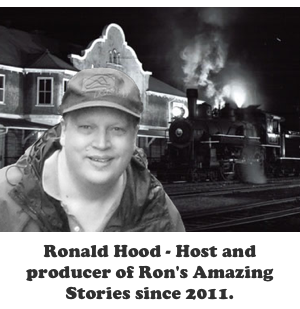 Ron's Amazing Stories: RAS #332 - Impossible! 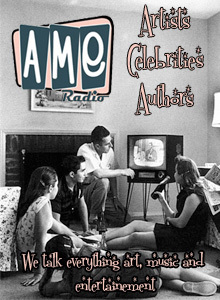 On Ron’s Amazing Stories this week, mysteries is the theme for the show and this week we set out to break records. We have stories that include a ten-year-old mystery of death and murder. Brother James is back with another strange tale from New Mexico - The Land Of Enchantment and Tyler tells us his mysterious trip to the Hot Lake Hotel in Oregon. For the record, this might be one of scariest tales we have had yet. Ethan from Australia chimes with his contribution to the segment, “Johnny is it true?”. Add to it all a tale of blood gone bad from the folks at The Five Minute Mystery. 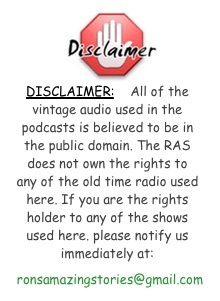 Our main story for this week comes from the old time radio series The Inner Sanctum. This has horror and mystery all rolled into one. It stars the narrator, Raymond, having his very own bout with strangeness. The quality on this one was a little beat-up, so I did some restoration work on it and it is my hope that you enjoy it. The tale is called, Dead Man’s Vengeance and first aired on October 10, 1944.